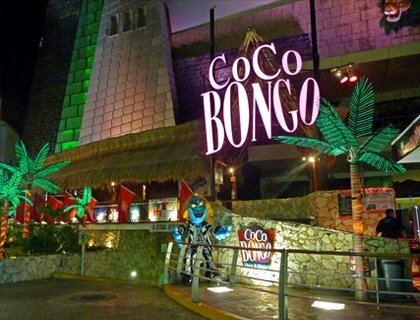 Tips for a top night at Coco Bongo Cancun! A night out at Coco Bongo Cancun will be one of the best nights of your life. Whatever your age, whatever you’re into, if you’re going to Cancun this superclub needs to be on your “to-do list”! 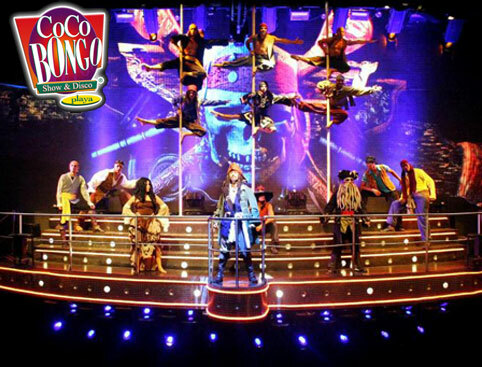 OK so a night at Coco Bongo doesn’t officially start until about 10-10.30pm, but if you get there much later you could be faced with a ginormous queue and you might even miss some of the show, which you DO NOT want to do! If you’ve got the VIP Gold Member ticket, you can use the “special VIP queue” (basically a queue-jump) and make a start on your unlimited free drinks before the party really gets going! Whatever you wear, you’d have to work hard to feel underdressed or overdressed here! There’s no real dress code, but “summer casual” is probably the look that most people go for. BUT dress to impress and you might end up on stage! Having said that, ladies are advised to dress to impress, because if you stand out you might be invited to get up and dance on the stage above the dancefloor, or even join in with the dancers in one of the shows! Line your stomach before you go! On your way to the club…. Watch out for guys dressed up as movie characters like The Mask or Beetlejuice who will be waiting to pounce on you along the road towards the club. You’ll most likely assume that they’re something to do with Coco Bongo, and they’ll get you to take umpteen photos with them, but then when you try to leave they’ll try and get you to give them money. You have been warned!